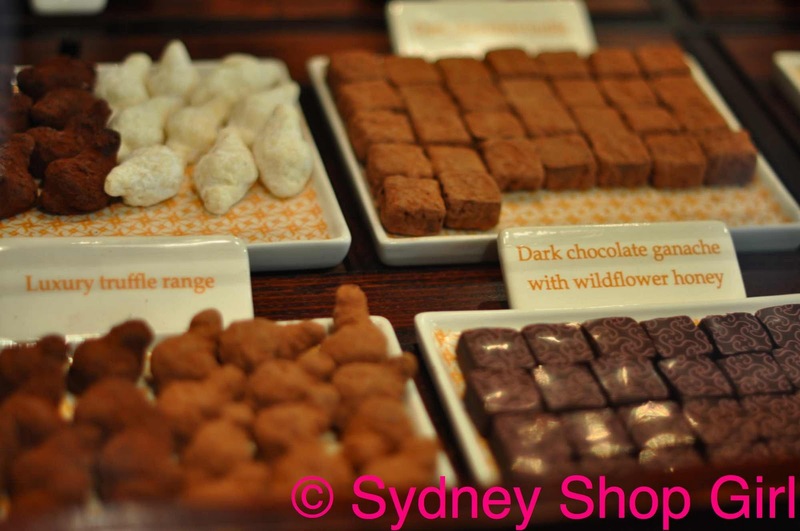 Sydney Shop Girl: Crabtree and Chocolate. The Last Monday Before Christmas. Crabtree and Chocolate. The Last Monday Before Christmas. Even though most of us have to be at work today, it feels like the holidays already. The traffic was less snarly this morning, there are boxes of chocolate and short bread out to share for morning tea. Any which way you look at it. getting the 5 food groups into your daily diet isn't going to happen, even with the help of a daily multivitamin tablet. I'm not a fighter, I'm just going to go with the flow. Mr SSG and I have grand plans of hitting Cottesloe Beach every morning for beach running and laps between the flags before downing $20 coffees on Marine Parade (okay, slight exaggeration about the coffee price). Or there is the cafe down the road from my mum and dad's place where it's obligatory for men over the age of 45 to drop by after swimming at Cott wearing just their budgy smugglers (surely there was room for a towel or a T-shirt in that 4WD). Coffees are only $10 on Victoria Avenue. But I digress. There's been an awful lot of chocolate in my life recently. It started with my new cereal from Aldi. The cereal I eat on Fridays as reward for surviving the working week. I'm a new Aldi customer but what we don't have in history together, I have made up for in volume. Dishwasher tablets, toilet ducks, muesli bars, biscuits and plastic kitchen bags are where my love for Aldi lies. 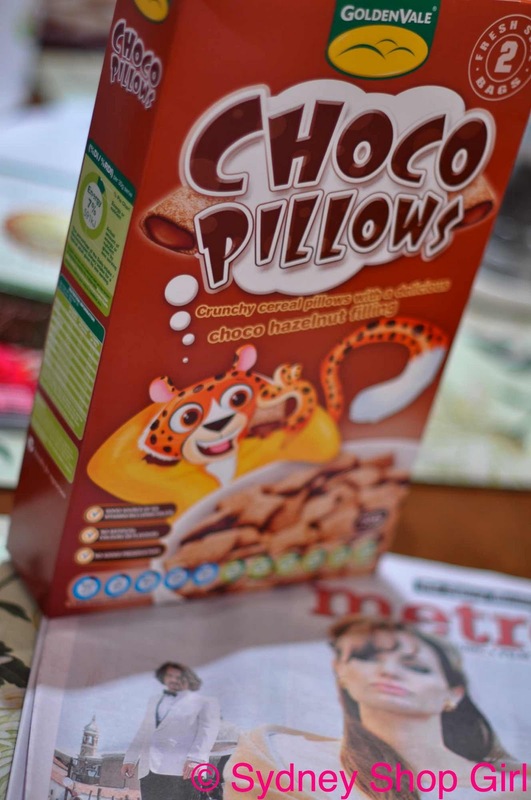 I can only describe Choco Pillows as Nutella in pellets. Not the most flattering choice of words but this is good chocolate cereal. It doesn't pretend to be anything else than hazelnut flavoured chocolate cereal. It wasn't perhaps the greatest thing to be eating whilst reading about Angelina and Johnny's latest film (a bowl full of Choc Pillows, even further from Angelina Jolie as Lara Croft you will be) but it felt good at the time. I have a feeling that Johnny Depp and Vanessa Paradis would be totally fine with their kids eating chocolate cereal for breakfast. Living for the moment and indulging the senses every once in a while ironically makes a person crave healthier foods more. Angelina and Brad perhaps not so relaxed. 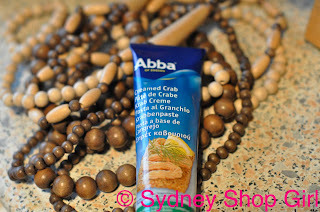 As a break from chocolate, I had my crab paste from Ikea for dinner tonight. Aren't we loving the variations on the letter C theme tonight? Surprisingly good. Strong crab taste, a little salty. Good match with my Aldi Sao crackers (which are a little softer and flakier than Arnotts Saos, for the record). I think I've now got nothing but preservatives coursing through my veins at the moment. I had my multivitamin after dinner to redress my nutritional balance. The crab paste looks exactly like how it does on the front of the tube. It squirts out all fancy. I love the Swedish dedication to accurate depictions in advertising. It might be the last Monday before Christmas, but that doesn't mean a few escapist pictures wouldn't go astray. These are from Max Brenner on George St. Just at the bottom of Mr SSG's building. I don't believe he has kept this from me all this time. 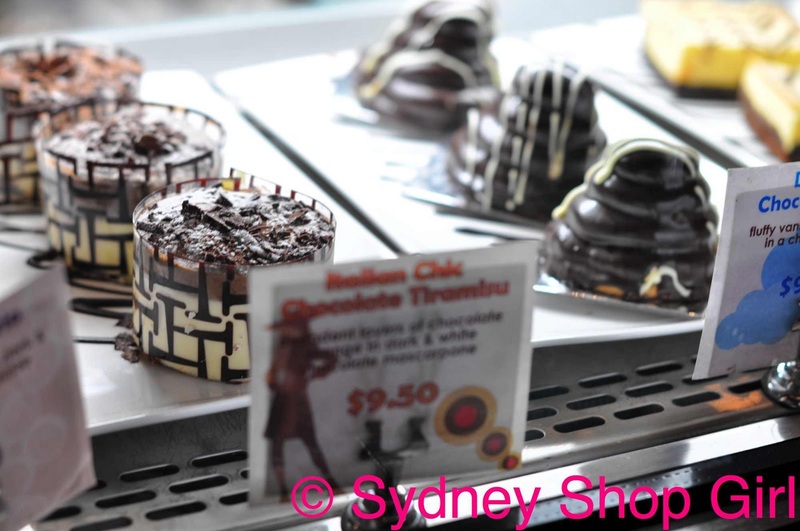 It also means Haigh's is only a short walk away too. 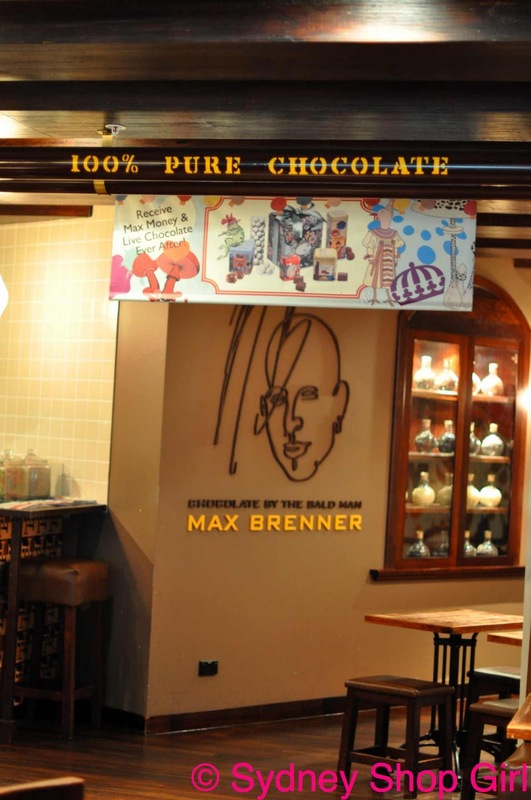 I love Max Brenner shops. There's so much whimsy and quirkiness. 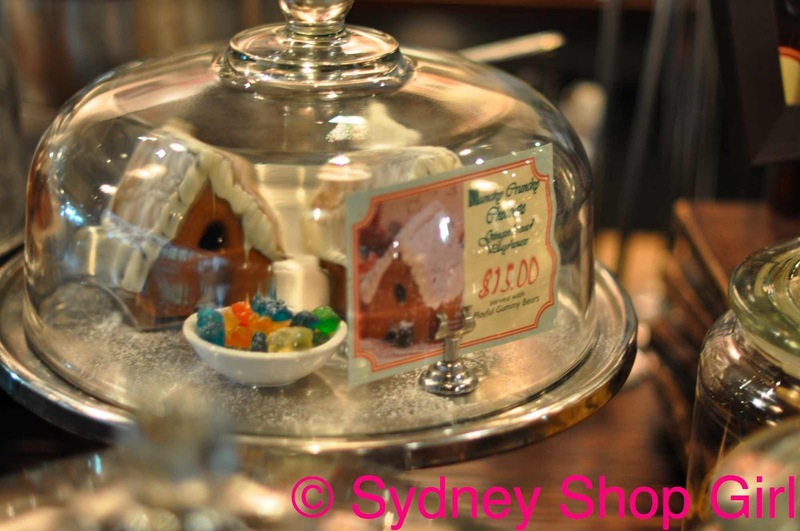 I was sorely tempted to buy a gingerbread house. And one of those calorific desserts. 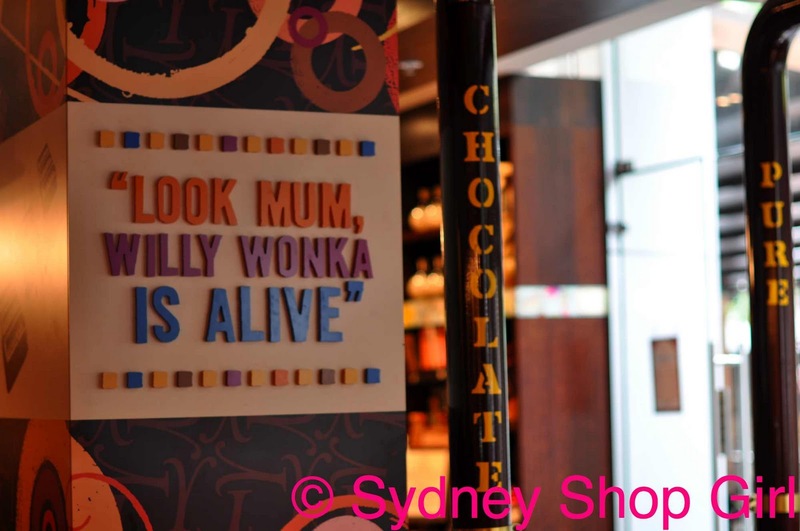 Or a chocolate or two. But I only ordered what I needed. 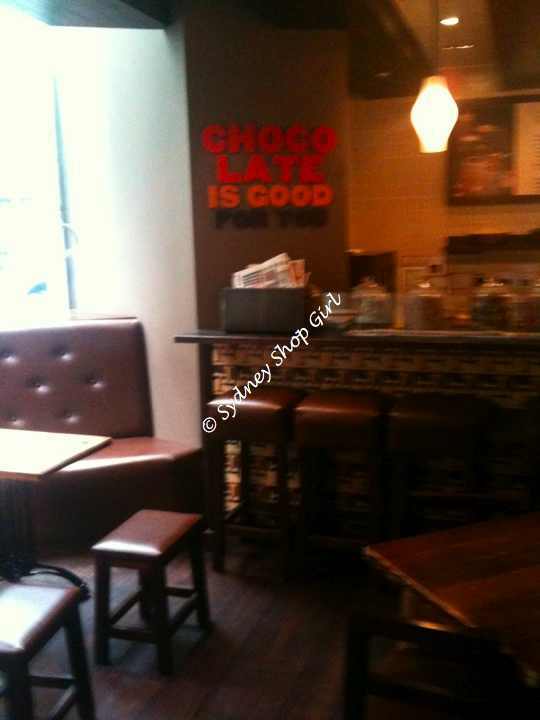 A dark chocolate skim (!?!?) mocha. I find the vats of melted chocolate very calming to watch. One of the shops that was a pleasant surprise in the present stakes was Crabtree & Evelyn. I found lost of things that were perfect as small gifts on their own or to complete gifts I'd started for my parents, aunties and uncles. More chocolate. 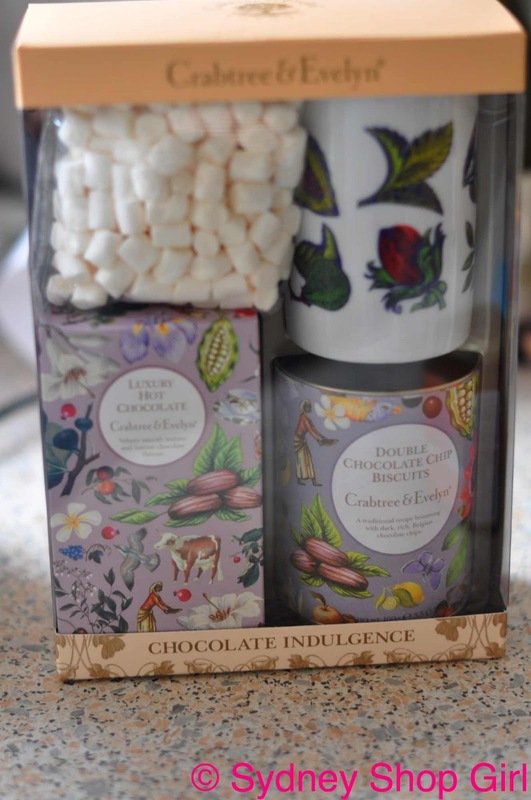 A hot chocolate set with biscuits and marshmallows. 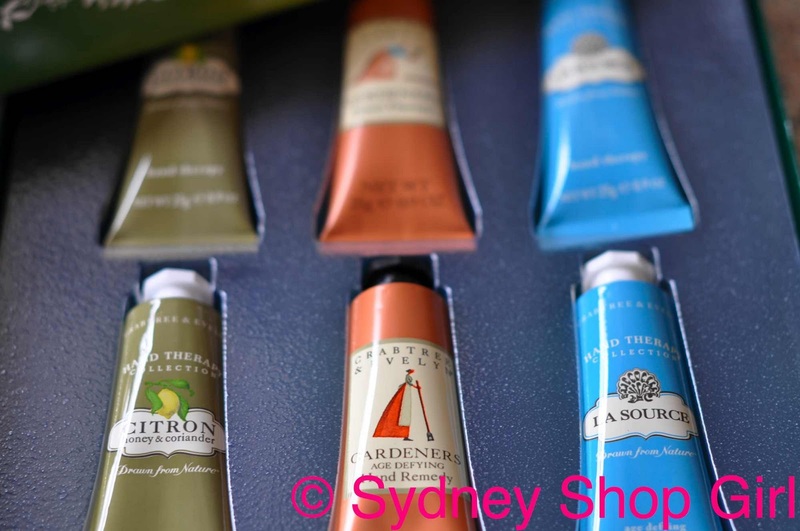 In the spirit of it being just as good to give as it is to receive (I think that makes sense), there was a gift of 6 mini hand creams with purchases over $100. Available until Christmas Eve if you are interested. Right, I'm off to bed. Stage 2 of the SSG Baked Goods Initiative begins tomorrow night and it's going to be an intense evening of Bundaberg Rum, Nice biscuits, sweetened condensed milk and dessicated coconut. Oh, if any Perth readers can tell me a good place for coffee in Cottesloe, I'd be much obliged. 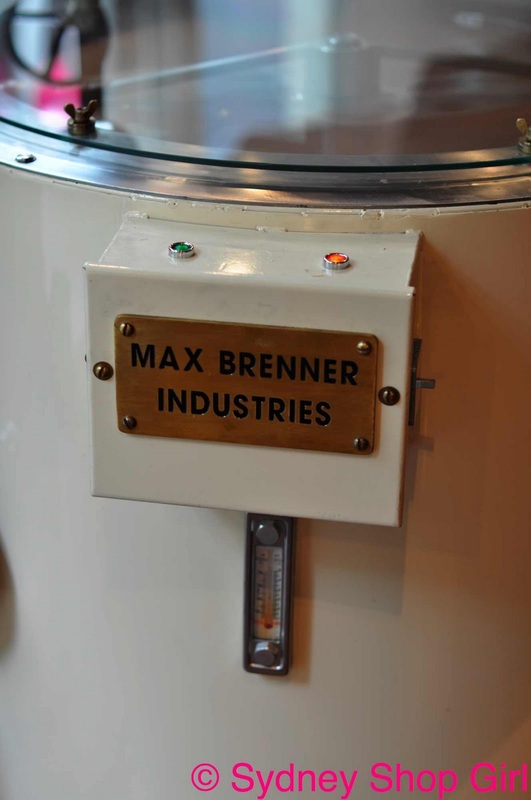 Your coffee price estimates are scarily close to being on the money. 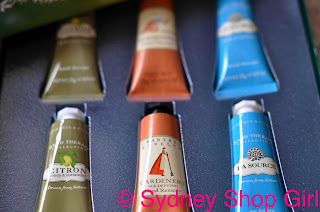 Loving the baby hand creams. 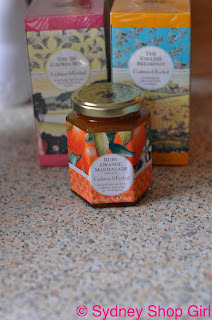 Those biscuits from Crabtree and Evelyn are delicious! What a beautifully written chocolatey Christmassy post! Love it. 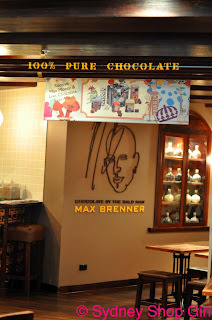 Max Brenner and Haigh's choccies are my favourite places in town. 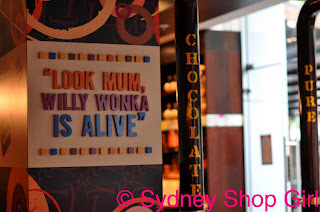 If I can't shop then I'll stick to stuffing my face with chocolate. I'm with you on the Chocolates but not so much the crab paste. But I heart Aldi - for certain items, it can't be beat. 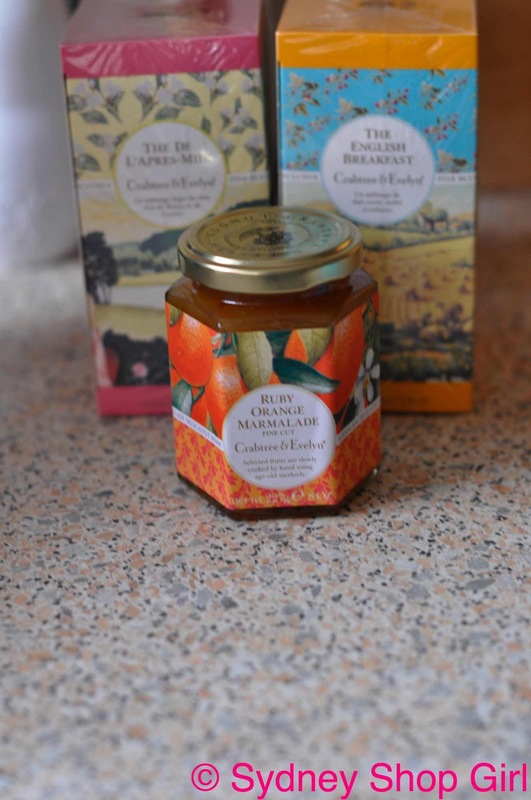 Looks like you are assembling a great selection of gifts for your trip home. 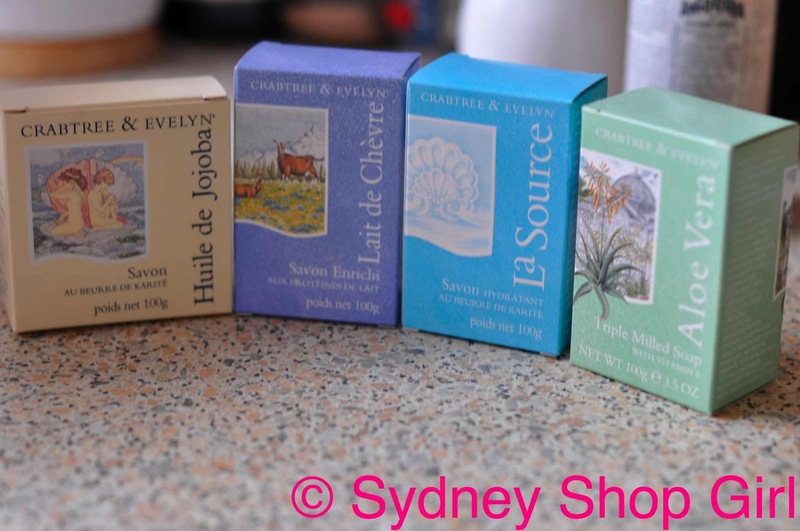 I used to love those Crabtree and Evelyn All Butter Lemon cookies and they also used to do a divine cinnamon cookie too... Delish!